If like Mobile Bingo Bonuses you’re a sucker for a quirky gaming site, then boy do we have a great one for you? Launched in 2016 Easter Bingo celebrates what we call the chocolate holiday, where you can scoff that delicious treat whenever you like. So why not grab your mobile or laptop, get cosy on the couch with some Cadburys and check them out. Of course it’s not all cutsey bunnies, because Easter Bingo can hold their own on the games front. Whether you’re interested in 75 Ball and 90 Ball Bingo, plus coverall jackpots, progressive jackpots or slots, such as the pretty famous Millionaire Genie and Fluffy Favourites; you’ll find them all here! Even if you’re not at home and you get the urge to play, simply log in on your mobile or tablet devices. You’ll find that even though the screen is smaller, the quality of the gaming isn’t any less. Easter Bingo begin their bonuses when you make your 1st deposit, because on a minimum £10 you’ll receive a 300% cash match bonus. 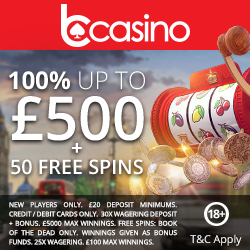 Because they know that many of us can head straight to our old preferences, they’ve broken the bonuses down into a 200% bingo bonus and 100% games bonus. This way you’ll get your fill of both bingo and featured games, plus who knows if you’ll discover a new favourite. After the welcome bonus is gone you may feel down in the dumps, but wait because you can then enjoy their regular promotions. Check out Spin-Tastic for bonus spins, or the 2 Million Race for extra loyalty points. There’s even the chance to win a share of £10,000 in The Big £10,000. For those of you who love to share, then why not give your friends the gift of a lifetime and tell them all about Easter Bingo. 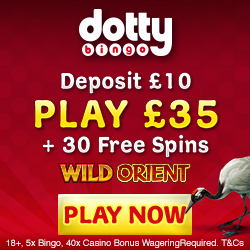 If they deposit and enjoy the 300% cash match bonus, then you’ll receive £10 bingo bonus credit. There is a cap of 15 referrals each month, but this should still give you plenty of extra daubing fun. If you’re interested in meeting new friends then there’s no better way than heading over to a chat room. Easter Bingo offer chat games which are ran by an experienced chat host, who will help you through the games. Plus you never know what extra bonuses you can look forward to. For those regular players out there you’ll enjoy their loyalty scheme, where for every £1 wagered you’ll receive 12 jewels (or points). As you earn more by playing, you’ll move through the 4 levels, which include bingo rookie, bingo pro, bingo master and bingo champ. Each offer bigger and better bonuses such as bonus spins and cash back. If you discover any issues or simply have a query, then you can contact someone via email or telephone. So if you’re ready to check out these amazing bonuses and delight in the cute bunny theme, then head over to Easter Bingo and enjoy.